You can get the latest news on south-east Queensland urban marine mammals just sign up for our quarterly newsletter. Read our annual summaries. 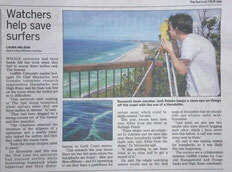 Our work has been featured in local media multiple times. 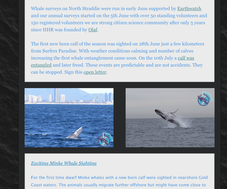 Read through our archives to find the amazing stories such as live saving whale surveys and camera deployments on whales. Our work has been featured on TV and Radio News. You can watch our online TV archives and listen to some of the radio interviews.